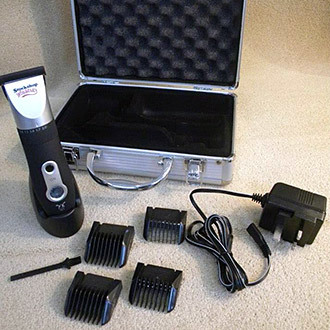 Pedigree Pro mains powered twin speed dog clipper. Includes 3 top quality German Steel blades. The Wolseley Skylark Trimmer can run on rechargeable batteries and has a battery level indicator or can run directly from the mains. They have an adjustable blade height but the ceramic and titanium blades can not be sharpened. 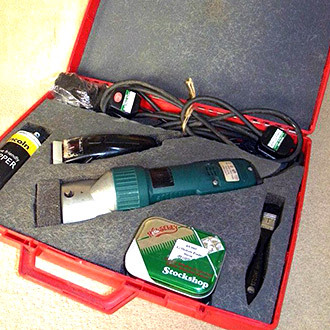 The Wolseley Skylark Trimmer is supplied in a strong metal case with charging dock, adapter plug, four brushes and oil. 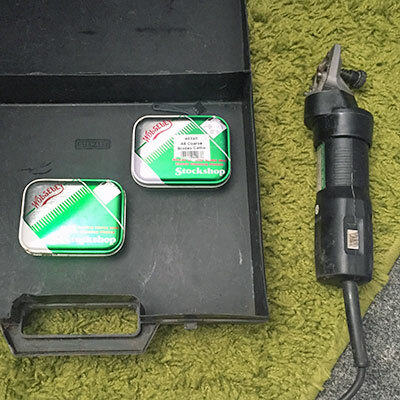 A charge takes 1 – 2 hours and will give you one hours trimming time. 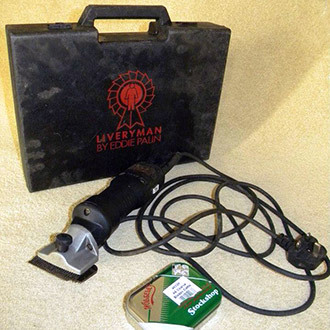 A clipper for an all over clip on large animals. Quiet for a mains operated clipper. 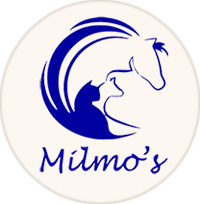 Ideal for small yards and one horse owners. Weighing less than 1kg, this clipper is ideal for ladies or young riders, the ergonomically designed narrow handle makes this clipper a pleasure to use. Aeration system for the clipper head keeps blades cool. Self-lubricating gears for easy maintenance. Thermal over load gives enhanced protection. 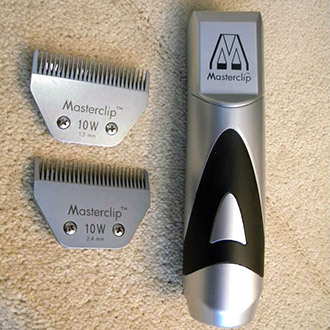 Fitted with A2 cutter and comb which produces a 2 – 3 mm coat thickness. Ventilation system which stops the motor from overheating and burning out.